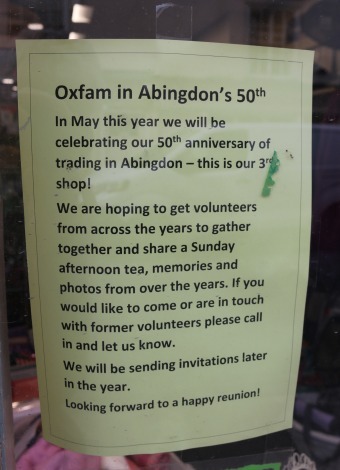 Oxfam opened their first Abingdon shop in the High Street in 1969. They have been in their current Stert Street shop for over thirty years, after moving from over the road. They would be glad to hear from anybody who has volunteered at any of the three shops to arrange a reunion.